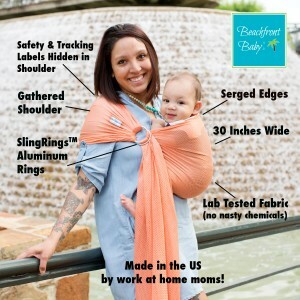 These water sling baby carriers are a must have for vacations & the summer! 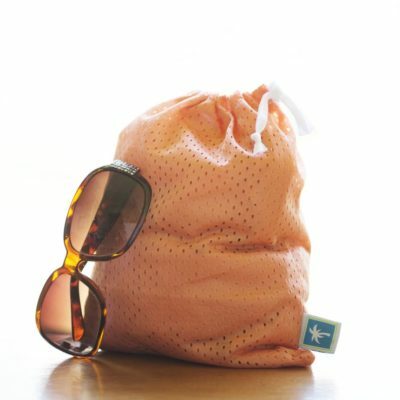 Performance athletic mesh lends breath-ability with just the right amount of stretch. 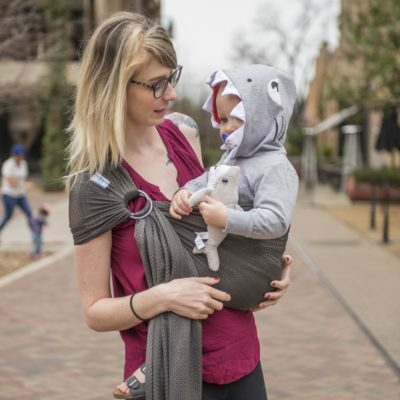 Sewn by work-at-home-moms in the San Antonio, Texas area, much care & attention to detail has gone into sewing these slings for safety and beauty. 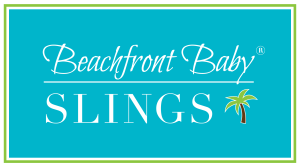 We use only SlingRings™ brand aluminum rings in the construction of our slings. Petite slings fit most adults who wear a size XS or S shirt. 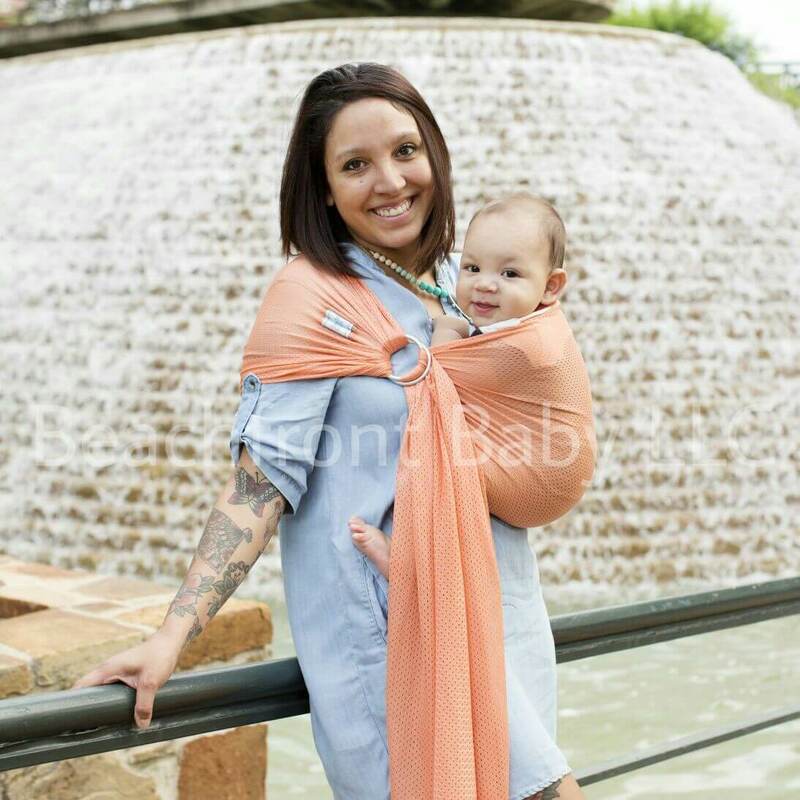 Our slings are 30 inches wide which is the perfect width to hold baby close & comfortably, safely. 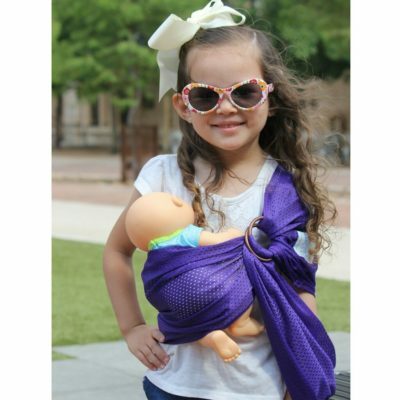 View our sling instruction booklet here. 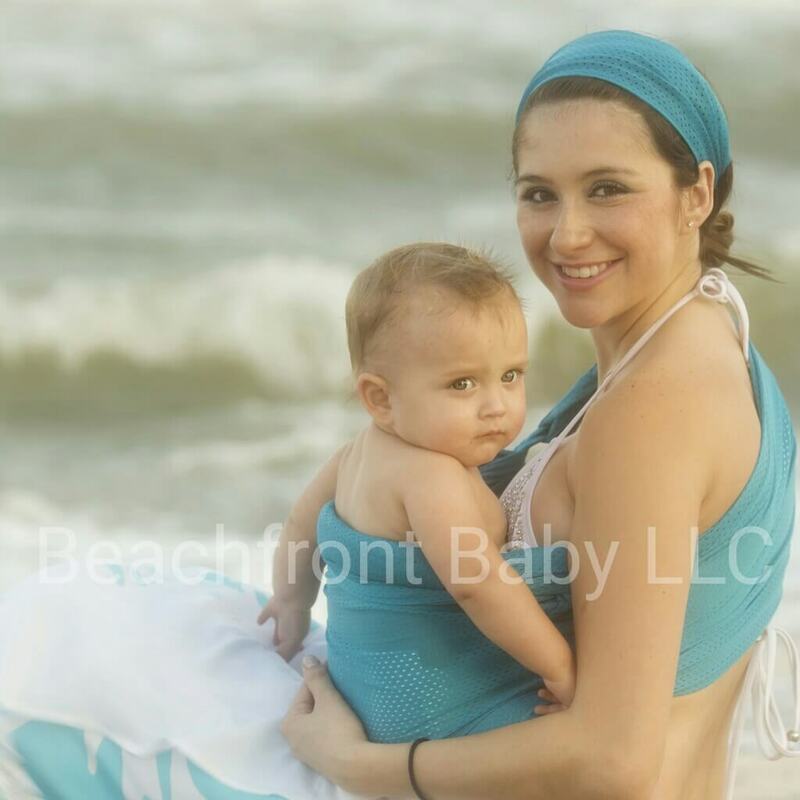 previous post: XL Beachfront Baby Sling -NEW COLORS ADDED!